Our Local Used Car Dealers have vehicles for everyone, from first-time buyers to most discerning car enthusiasts. We specialise in sourcing a wide variety of quality cars, trucks and SUV's both locally and from surrounding counties in Kentucky. We have helped hundreds of people get good quality transportation. With a large selection of all makes and models, you can choose from over 1000 cars trucks van & suv's where you will find the perfect combination of the car and financing you are looking for. ​Bad Credit. No Credit. We Can Help You. Getting a car loan is easier than you think, even with less than perfect credit. 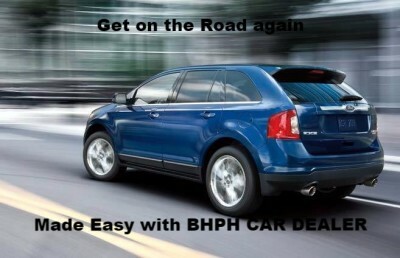 Our BHPH CAR DEALERS are here to help in the purchase of a vehicle that is reliable for you and your family. We Build Car Dealer websites. We Work your own website. We Market your business throughout the internet. We help drive customers to your website. We work your inventory or Sale as we grow more & more coming. So please contact us for more information, to arrange your Dealership listing. WE WILL BE IN TOUCH WITH AS MANY VEHICLES TO CHOOSE FROM AS POSSIBLE WITH INFORMATION GIVEN!